I was fortunate enough to have had trumpet lessons with the great Lew Soloff and become friendly with him to where I could text him at any given hour and get a reply within minutes. He was and remains one of my biggest inspirations in music and in life. One of the first things he showed me was one his warm up routines he does on a regular basis. 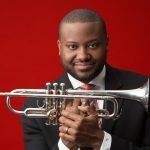 It is a combination of some familiar exercises; in essence, a complete trumpeter’s warm up no matter if you play classical, jazz or both. He told me the 1-4B are directly passed down from Ryan Kisor and obviously the Schlossberg Method. This Lew Soloff warm up takes the artist through the overtone series using alternate fingers; e.g. 1-2-3 for low C#, middle F#, C# and high F#. Play relaxed and at a soft volume. Concentrate on a steady, full stream of “wind” allowing full, rich notes to ride the wave. 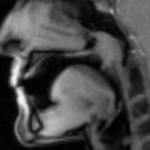 Minimize any head or jaw movement. Think: focused, steady, rich sound and relaxed. Vary the tempo. I try to get faster as I progress through the series. Do NOT let accuracy suffer though. If you mess up, slow back down and get it right. I remember Lew saying, “And if you have time to rest a little between each one, that’s even more hip.” He was also extremely particular about playing each one PERFECTLY! If he fracked one note or didn’t feel too good on one, he would pause, reset, and play it again to get it right. 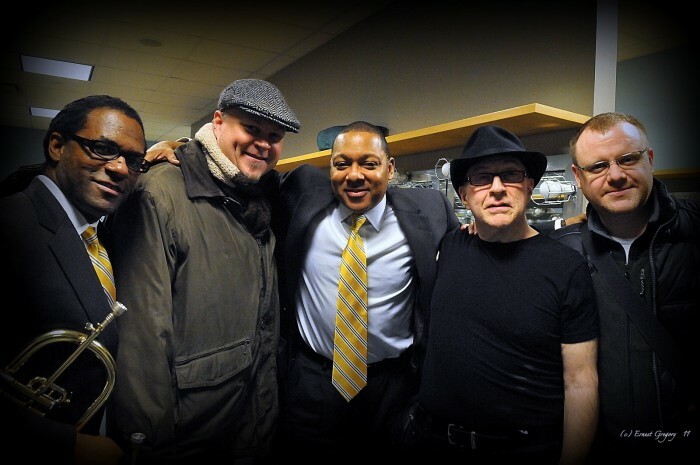 Man, Lew Soloff, he was one of the hippest! 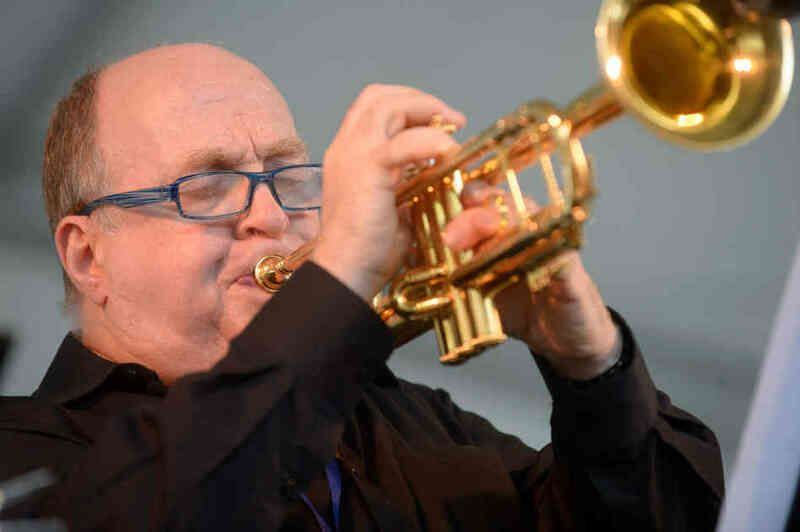 Enjoy this Lew Soloff warm up PDF. It will take you through the meat of your horn and leave you feeling like you’re ready to tackle any musical demands of the day. BONUS: It appears you can freely download the complete trombone version of Max Schlossberg’s Daily Drills and Technical Studies on PDF here. 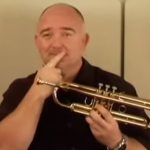 EXTRA: Here’s another aspect of a Lew Soloff warm up discussed by Lew Soloff himself. It is taken from a wonderful blog by David Cooper. One way to illustrate the importance of a warm-up is to think of a Karate expert. Someone with a black belt in karate can take four of five guys out on the street in an instant. He’s not going to say, “Excuse me, I have to warm up.” But, when he practices, what does he do? He trains his body. He nurtures his muscles. He gets his muscles ready to make those spur-of-the-moment moves. 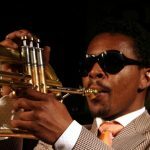 The trumpet is a physical instrument. The kinder you are to your muscles, the more consistently responsive they will be. There will be times where you miss a plane or it doesn’t take off and you get to the gig two seconds before it starts. If you’ve conditioned yourself properly in your practice, you’re going to be fine without warming up at all. On the first job of the day, I never know what I’m going to walk into. It could be the easiest thing in the world, or it could be very, very hard. When you’re playing in a symphony orchestra, you know that today you’re going to play Mahler’s Fifth, and three weeks from now you’re going to play the Jupiter Symphony, etc. You can warm up with a particular piece in mind. When you’re in the freelance world – as I am – you get hired for doing all kinds of different things that require a lot of versatility on the spur-of-the-moment. The first thing I do when I warm up is just buzz my lips for short periods of time, maybe seven to ten seconds at the most, and I try to produce the highest buzz that I can. If you can’t get a high buzz, don’t worry about it. It’s the intention of trying to do it one note higher than you actually can that keeps the lips together. I buzz for maybe two or three minutes in seven to ten second spurts, just getting used to the feeling. Then, I play some music on the mouthpiece. I believe that the majority of practice should be musical rather than technical. Instead of playing lip slurs on the mouthpiece, I might turn on a CD that I like and just play along with it as if I have a trumpet in my hand. 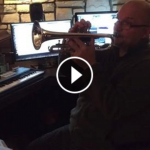 Most trumpet players know that some days you pick up the horn and your tone resonates right away. Other days, you pick it up and you feel like somebody stuffed a cotton pillow into your bell! 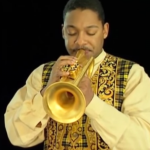 When you play the mouthpiece, you don’t hear whether your sound is stuffy or not. You automatically begin to ignore the mouthpiece sound and to conceive of the sound that you really want. I try to play the mouthpiece this way for at least 15 to 20 minutes a day. 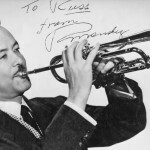 Then I do the same thing on the trumpet, slurring mostly, and staying away from hard tonguing. The most important things to me are flexibility and the resonance of the tone. I try to get a very liquid, fluid, easy type of feeling even when I’m improvising ideas. In other words, I don’t strain. After I’ve done my basic work on the mouthpiece and trumpet, I do my scales to build up my range. I start on a low F# and play a one octave major scale, at a dynamic between mezzo-piano and mezzo-forte. Then, I take the mouthpiece off my lips, reset, and play the G scale with the same relaxed feel, then the A-flat scale, etc. Why bother to take the mouthpiece off and reset? 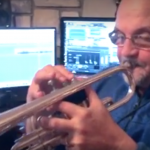 Let’s say you’re a trumpet player who has a consistent high E-flat, and has trouble with a high E. Your E-flat scale comes right out, with no straining. Chances are, on the E scale, where you know you’re going to miss the top note, almost every note before it will sound completely uptight. You’ll be tense way before the high E; you’ll be tense up on the F# or the G# or A of that E scale. It’s ridiculous, because if you were using some of those notes in a D scale, you’d be completely relaxed all the way up to the high D! The purpose of taking the mouthpiece on and off is to try to match each scale to the one below it, to re-concentrate and prevent tension. Whatever your range is on a particular day, work where it feels comfortable. Don’t strain to push your limits. Ideally, you should practice in a very relaxed way so that when you get on a job and see a high note and start to get tense, part of the relaxation of the practice will stay in your mind.